Matt Whyman is a bestselling novelist also known for his collaborative work on books with film, television, sporting and YouTube stars. He is an established author of teen fiction, an inspirational speaker and dynamic host of creative writing workshops for all ages and abilities. 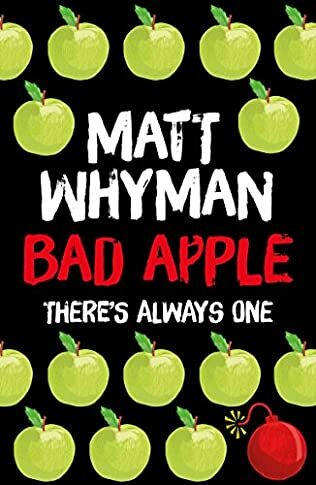 Matt’s most notable YA books include Boy Kills Man (shortlisted for the Booktrust Teenage Book Prize), The Savages (nominated for the Carnegie Medal) and Bad Apple, praised by the Daily Mail as ‘topical, thought-provoking and tremendous fun’. Matt has also worked on a range of number one selling books alongside famous figures from Joe Sugg to Billy Connolly, Fred ‘First Dates’ Sirieix and even Pudsey the dancing dog from Britain’s Got Talent. He is the author of the companion guide to the 2019 TV adaptation of Good Omens by Neil Gaiman and Terry Pratchett, featuring interviews with David Tennant, Michael Sheen, Jack Whitehall and many others. Matt is also a popular agony uncle and author of several advice books for boys. He has written a long-standing monthly column for Bliss Magazine and served as resident agony uncle on BBC Radio 1’s live Sunday evening show, The Surgery. Matt is married with four children and lives in West Sussex. Matt Whyman has extensive experience in visiting secondary schools in the UK and across the world. He is flexible in his approach to both subject and pupil numbers and will happily tailor sessions to fulfil a wider curriculum brief. He can offer assembly presentations, sessions with groups or individual classes, as well as creative writing workshops. Matt is both frank and very funny about his struggles at school, his drift into casual work and passionate in his belief that a love of reading and writing saved him. He addresses everyone as writers, whatever they want to do in life and is a firm believer in the power of the written word to make things happen. A popular and acclaimed creative writing tutor, Matt’s aim is to inspire and enthuse participants of all abilities. In particular, he focuses on the skills required to turn an idea into a story that doesn’t run out of steam. Working as a group, Matt will present an idea and encourage participants to strip it into basic story components. He’ll then lead everyone through the creative process to the moment they put pen to paper having first considered every aspect of the narrative ahead. Half day workshops and longer will involve writing time and a constructive collective review, in which participants are encouraged to learn from each other’s experience. To guarantee that everyone gets the most from Matt, shorter sessions take the form of a fun, energetic conversation about strategies for developing ideas – with plenty of opportunity for questions. Matt can offer workshops ranging from one hour, to a half or full day. He can work with groups of all sizes from year 7 upwards. The award-winning and critically-acclaimed novel about child assassins on the streets of Colombia, published in translation across the world and now released in a special tenth-anniversary edition. Two darkly comic tales about an ordinary hard-working family with traditional values and a unique taste in people. Find out what happens when the Savage’s teenage daughter starts dating an outspoken vegetarian, and follow the family’s exploits when they make a fresh start in Florida. But these trolls aren’t confined to causing trouble online: now they’re in our homes, on our streets and have ruined life as we know it. As a rule Maurice tries to avoid trouble – until the day he crosses paths with Wretch, a very bad apple indeed. And with tensions rising, can these two teens put their differences aside in order to survive?